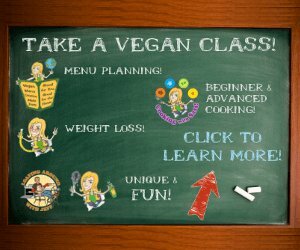 Ready to Make Boiled Barley? 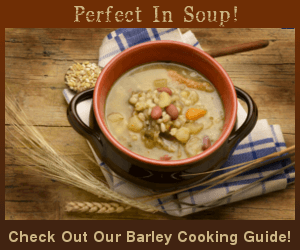 Learn the secrets to making boiled barley for perfect results. We teach you the barley-to-water ratio and much more so you can cook this tasty chewy whole grain. 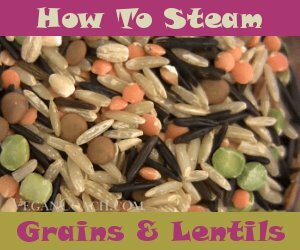 It's one of the more popular ways of preparing this hearty grain (unless you own a pressure cooker). Begin by mixing your pre-soaked barley and water together in a pot (with a lid). Now, notice I said "pre-soaked"? That's because barley (like most whole grains) should be soaked before cooking to not only help the digestion, but to cut down the cooking time. The ratio of water to barley is 3 cups water for every 1 cup of barley. 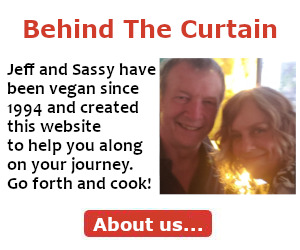 Now, one question I'm asked a lot is "If I start with one cup of barley, and then I soak it, it turns out to be more than 1 cup, so then how much water should I add?" The barley-to-water ratio (1 cup barley to 3 cups water) is for the grain BEFORE it was soaked, regardless of how b-i-g the barley has grown after soaking. So if you start out with 1 cup of unsoaked barley, and then soak it, you would add 3 cups of water when cooking. If you start out with 2 cups of unsoaked barley, and then soak it, you would add 6 cups of water when cooking. Allow the grain to simmer for 45 minutes*. Do not add salt until AFTER it is cooked, since it can block absorption of water. Once cooked, it will always retain some chewiness. You'll know your boiled barley is done when 20 percent of them have burst open. You can use the above method with non-pre-soaked barley too. Follow directions as above but cook for 1 1/2 - 2 hours* instead. 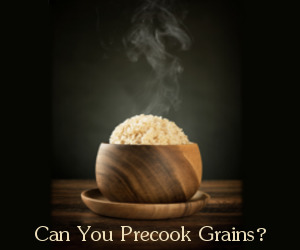 Consider pressure cooking your grains instead - pre-soaked barley takes around 15 minutes (and unsoaked it takes 30-40 minutes). Your barley is now ready to be enjoyed in any way you'd like. Use Barley's Flavor Matches to create your very own recipe! 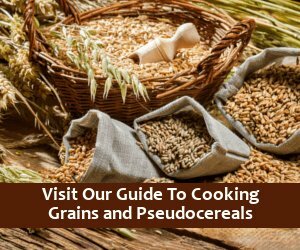 *By the way, pearled barley takes only half the time of hulled barley. But I don't recommend it since it's been stripped of nutrients.